Ahead of Prime Minister Narendra Modi’s visit to Israel, the first ever by any Indian prime minister, the Navy chief is visiting Tel Aviv next week. NEW DELHI: Ahead of Prime Minister Narendra Modi’s visit to Israel, the first ever by any Indian prime minister, the Navy chief is visiting Tel Aviv next week to review the bilateral defence ties between the two nations. 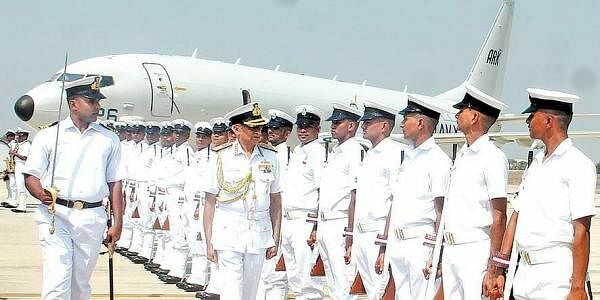 Confirming Navy chief Admiral Lanba’s visit to Israel from June 11 to 15, naval sources here in south block claim that during the visit, he is scheduled to take updates on the ongoing defence projects apart from holding meetings Defence Minister Avigdor Lieberman, sources added. It is believed that under the “ Make in India’ initiative of the Indian government, the Israel’s state owned Israel Aerospace Industries (IAI) last month announced that it has closed yet another major deal worth USD 630 million with India with Bharat Electronics Limited (BEL), a defence PSU to supply of LRSAM (Long Range Surface to Air Missiles) systems for four ships of the Indian navy. LRSAM is an advanced air and missile defence system, a unique joint development by IAI and Defence Research and Development Organisation (DRDO) in collaboration with Israeli firms. According to sources, the missile system will have several key state-of-the-art elements, advanced phased-array radar (MFSTAR), command and control system, launchers and missiles with advanced RF seekers. And it is learnt that the missile system is capable to provide protection against a variety of aerial, naval and air borne threats. It is currently operational with the Indian Air Force, Indian Navy and Israel Defence Forces.